What better way to build your kid’s love for nature than by gifting him toys relating to its wonders? To help you choose the best toy, we’ve made a list of the coolest ones he’s sure to enjoy. Horses make good human companions. Children are no different. But before they get to actually see a horse, they can build their love for these gentle and beautiful creatures by starting a collection of figurines on their own. And you can be the one who gives them the first one! If he or she likes the toy, then offer advice as to how to get more, and how to begin working on the collection. Kids are usually at that point in their lives when they don’t really have hobbies. This could be the perfect moment for them to pick one up! 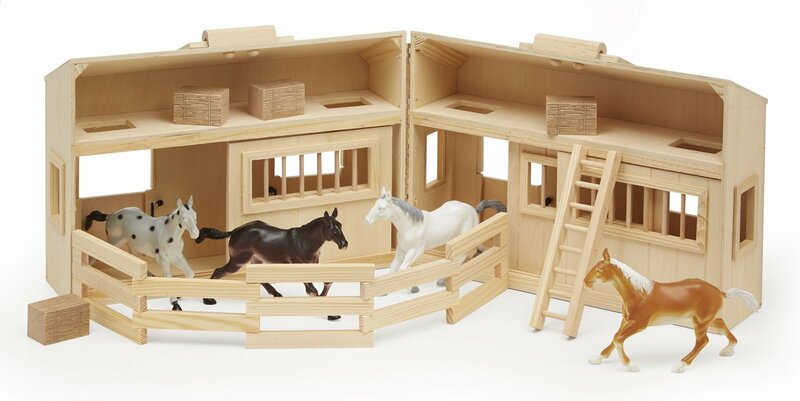 Breyer toys are perfect for those kids who are just crazy after horses. And even if they aren’t, they are sure to be after receiving this present. The attention to detail that is put in the crafting of these horse models is just insane. 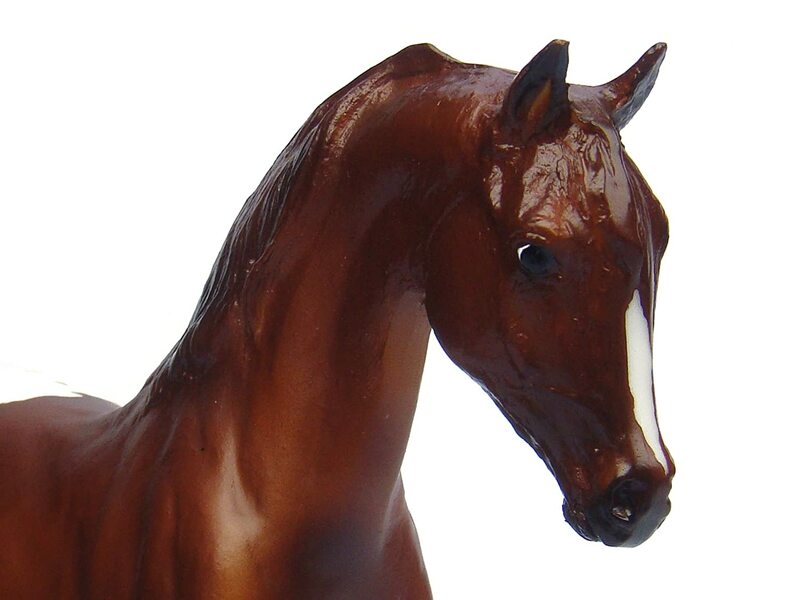 No other horse toy manufacturer offers quite that level of quality. The Wild Blue, or the Mustang Appaloosa, is a beautiful horse model. The set contains both a stunning appaloosa horse model, as well as a cute book, written by famous author Annie Wedekind. 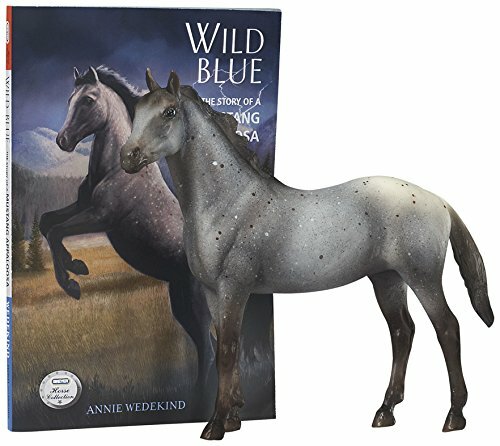 Wedekind describes Blue, the horse whose model you have in the boxset, in a very nice story about how it is captured by humans. Don’t worry, the story ends well! The official age recommendation is 8+, but some reviewers say that the book is a bit difficult, and might be more suitable for a 10 year old. This little horsey is the representative model of the state of Tennessee. If that doesn’t say it’s a good toy, I don’t know what will. It’s been credited as one of the best waling horses out there. And these toy horses for kids are incredible in design, as you can well see from the picture. It’s also a good gift for the younger kids, being recommended for children aged between 36 months and 15 years. Reviewers say it’s a perfect gift even for older kids who are collecting horses. Although the horse is just 3 inches, the level of detail is astonishing. As you can see in the picture above, this is an extremely beautiful set of toys. As the previous one, it’s recommended for children over the age of 3, as it has pieces that can be swallowed. The greatest feature is that the little stable is made of wood, adding to its authenticity. The nice handles at the top and the way the horses fit inside the stable assure that your kid can take it with him and show it to his friends. Some reviewers have criticized the quality of the horses, but say that the stable couldn’t be more stable (pardon the pun). Recommendation: if you choose this gift, supplement it with some other horses. Another Breyer product. This time, the Zenyatta is set to impress. The level of detail on this black beauty is phenomenal. One would never think that a horse could be so complex given it only has one color throughout its body. The eyes and the white spot on the forehead stand out as being marvelously crafted. Also, the horse itself is one of the most prized in the history of horse racing. Also, it’s 9 to 10 inches, so a bit bigger. Reviewers say that the price is more than justified. So go ahead! This really is an amazing offer! This and the next model are amazing. The Chestnut Appaloosa is one of the most beautiful horse toys for kids in the whole Breyer collection. The classics are offered in 1:12 scale replica versions, and at a very convenient price. 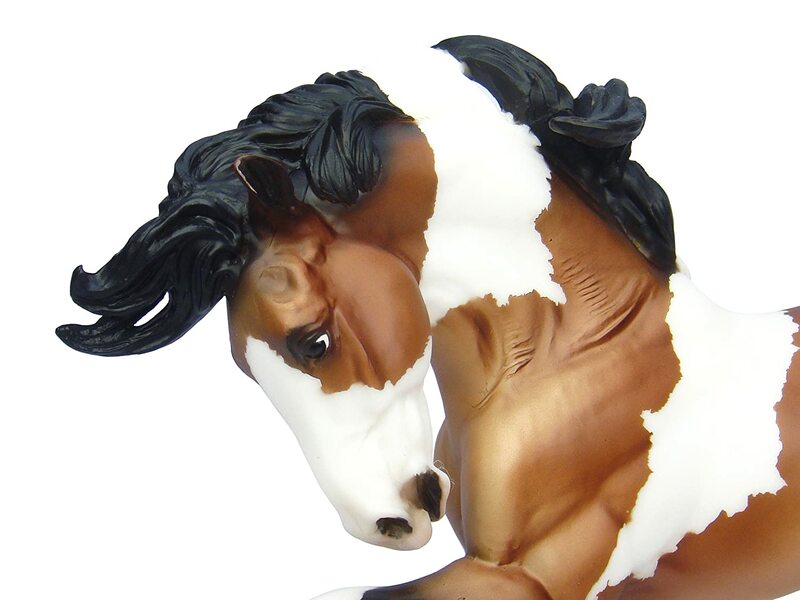 The model on this horsey is classic appaloosa, so if you gift it to your favorite kid, they will sure understand the distinctiveness of the horse and be able to spot one if they see the spotted coat. 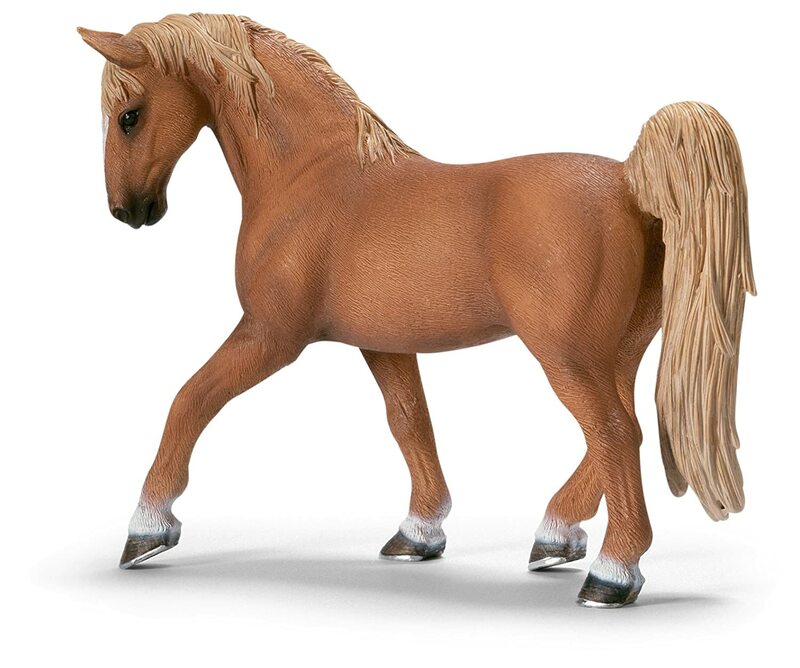 A small warning from a reviewer: if you have many Breyer horses, don’t put them in a box one over the other, as the legs are easily breakable. This new boxset from Breyer is not less than amazing. The only difference from number 10 is that the horse is much more beautiful. It’s really hard to make the difference between this one and all the previous ones. 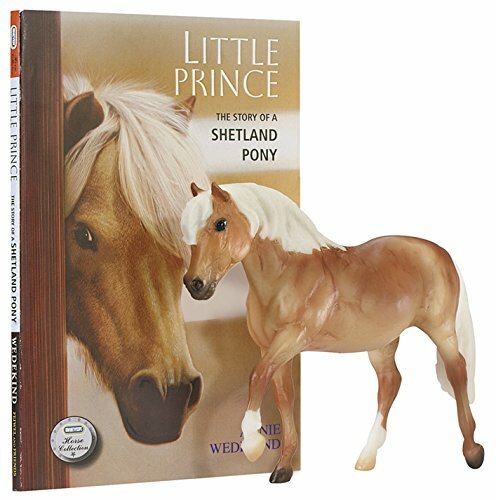 The little book accompanying the little prince is again written by Annie Wedekind, and follows the story of a little Shetland Pony. Reviewers say that still, the book is a little more advanced, and recommend it for kids over 8 years old. Here, we’re shifting the norm a bit, and we’re presenting you with a plushy. 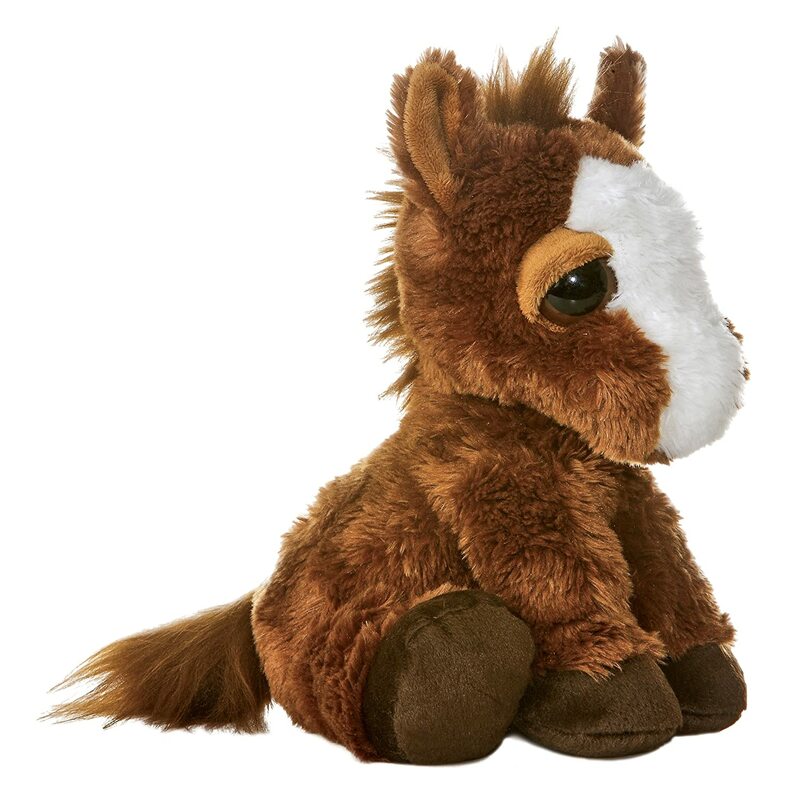 Plush toys have long been favorites of many kids around the world, and although they may not be that biologically accurate, they’re perfect for those younger kids that just love horses. 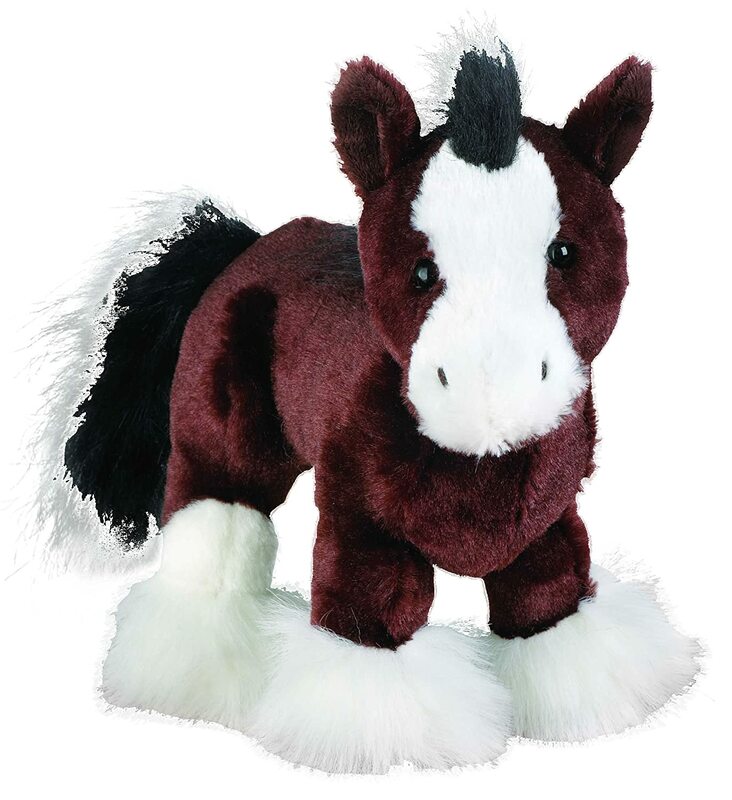 This little Clydesdale model plushy is not the only thing you get, though. The coolest thing, and Webkinz should be applauded for this, is that each toy of theirs has a little code. If the kid uses the code on their website, he will be able to play interactive games and quizzes that improves their knowledge of horses. Oh, come on! This just looks too adorable, don’t you agree? Aurora is one of the world’s leading plush toy manufacturers. And this horse toy for kids really lives up to that name. At 12 inches in length, it could even be a riding horse toy for kids younger than 5. But don’t give this toy, or any on this list for that matter, to kids younger than three! Yet it’s not as big as other plushy toys. Some reviewers say that it’s the perfect size for kids to sit on it, as well as for them to be able to take it to bed when they go to sleep. Remember the Breyer models we’ve shown here previously? Well, this little wondrous toy has nothing on those. It’s beautifully designed, and manually sculpted by Kathleen Moody. The level of detail is really a cut above all the rest on this list. 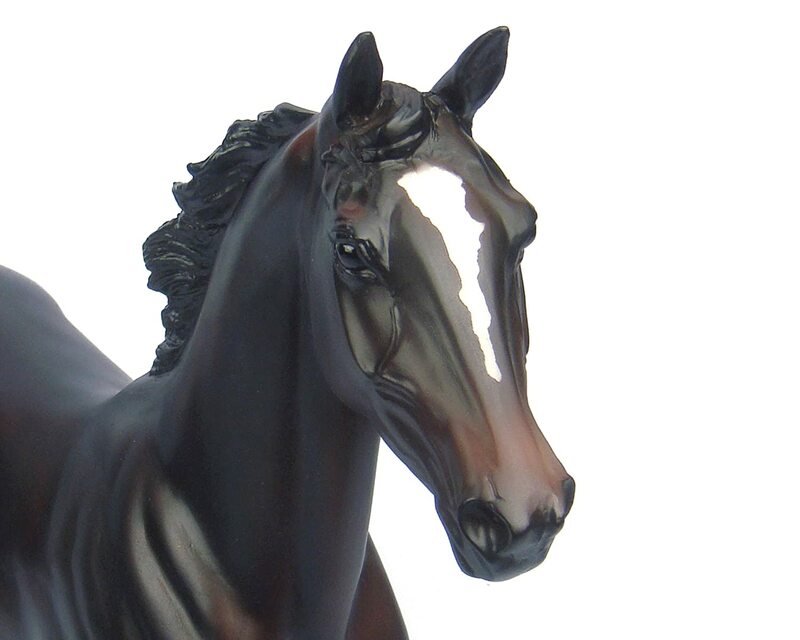 At 13 inches in length and 9 inches in height, it’s one of the biggest models in the Breyer collection, and the reviews for it are some of the best of all this list. And don’t let that picture turn you down, some reviewers say that the horse is even more beautiful in real life. Topping our list is this beautiful plush model from Aurora. And it’s one of the cutest horses available in plus form. It’s 10 inches tall, and with those dreamy eyes, it’s sure to melt even the heart of the toughest kids out there. 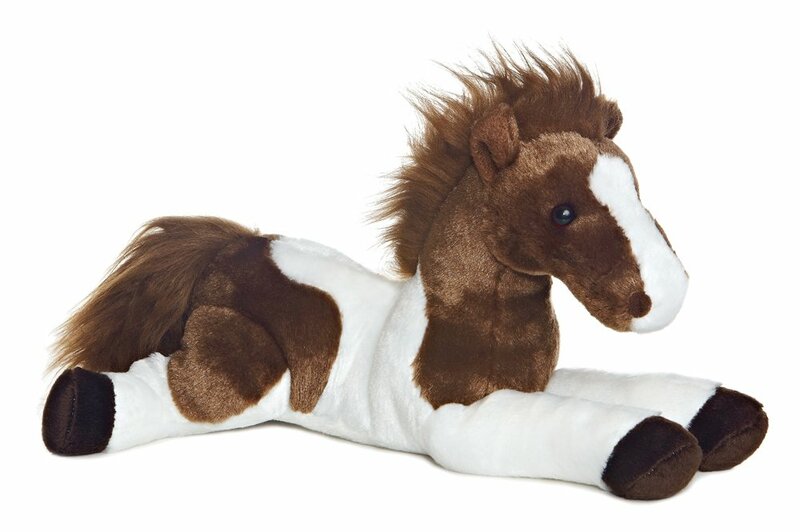 Besides its soft, cuddly shape, it’s also realistically built, so the kid will learn a thing or two about horses once he takes a look at this gift. Those eyes made us choose it first on this list, as well as the fact that it can be made to sit in various positions: from silly to serious. So, what do you think of our list? Do you agree with the order which we have chosen? If you like any of these little toys, be sure to save it for your kid’s next birthday, we’re sure he’ll love it!